← UTFA Annual General Meeting – Tomorrow! Join Us! Where: Room 147, Rotman School of Management, 105 St. George St.
Join us for this opportunity to discuss how policies for librarians at comparable universities are developed and negotiated. Constance Adamson is a Research and Instruction Librarian at Queen’s University, a past president of Queen’s University Faculty Association (QUFA) and the past president of OCUFA. She will look at how policies that mirror faculty processes, consistency and basic principles of equity and fairness in hiring and evaluation are important and how practices and language at other universities across Canada can be consulted. Marc Richard is an Associate Librarian who has worked in the McGill University Libraries since 1985. He has served as Vice-President (External) of the McGill Association of University Teachers, as Chair of the MAUT Librarians’ Section, and is currently a member of MAUT Council. He has been an elected librarian member of the McGill Senate since 2006 and was involved in the revision of several McGill governance instruments, including service as a member of the committee which undertook a major review of McGill’s librarian employment regulations from 2005 to 2007. Marc will look at how the employment conditions of librarians at McGill are governed; how these governance instruments get revised from a procedural (and to some extent political) point of view; what kinds of major revisions have been done to them over the past ten to fifteen years; and what kinds of major problems over the past ten to fifteen years provide the background context of these revisions. If you missed these speakers at the TRY Conference or you attended the session but there was not enough time to ask questions or discuss issues – this is your chance. We hope to see you there. 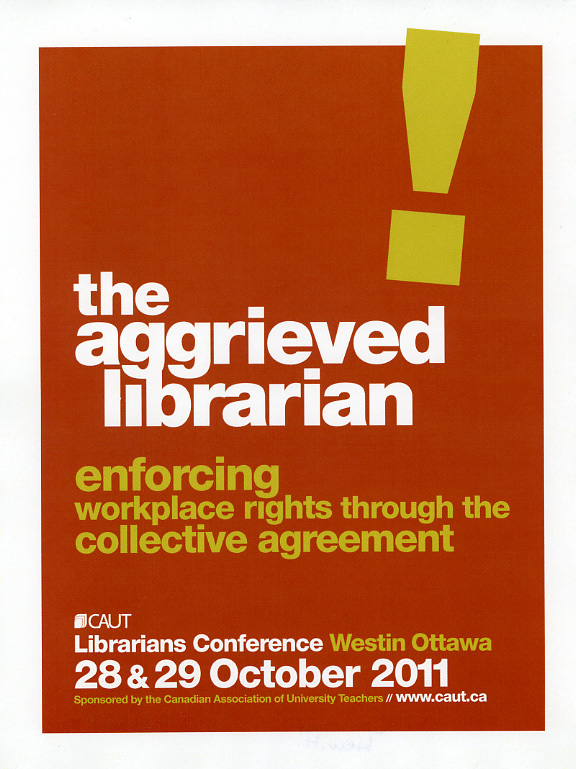 This entry was posted in Academic governance, Academic Librarianship, Academic libraries, ACALP, University of Toronto, University of Toronto Libraries, University of Toronto Mississauga, University of Toronto Scarborough. Bookmark the permalink.